Scribblers' Rest: Scribblers' Rest: Pathfinder - Rappan Athuk! : Episode 26 – Muscles and Big Hair Attack! Scribblers' Rest: Pathfinder - Rappan Athuk! : Episode 26 – Muscles and Big Hair Attack! 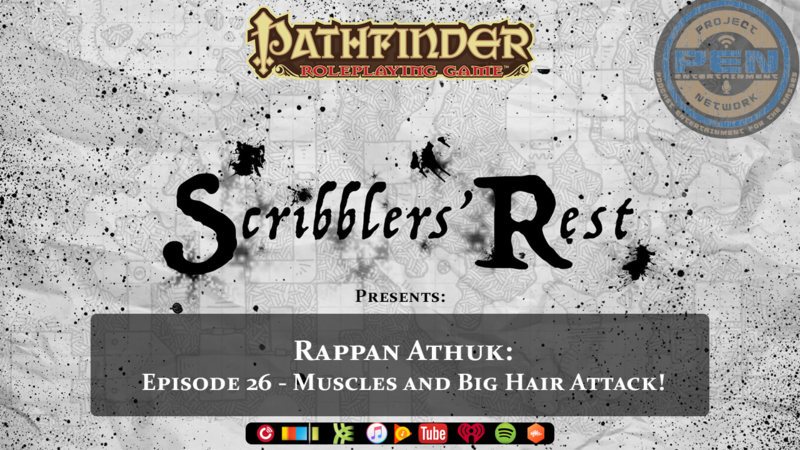 The Scribblers get real as they venture head first into Rappan Athuk: Episode 26 – Muscles and Big Hair Attack! If a unit of evil priest weren’t enough, enter the big hair warriors of Valhalla! Were did they come from and is there someone more sinister with them?